"Love my Pippa bag! It's stylish and sturdy. I love that I can take my business wherever I go. Definitely want more if your bags." "I ❤ my new Megan bag! I have received lots of compliments and have scored some new customers! " "I have gotten so many compliments and questions! Can’t wait to move forward with this opportunity!" "I love my pippa presentation tote. I love that it has a lot of pockets, lots of room, and is very high quality. The back pocket is very convenient to carry catalogs in making them easily accessed. 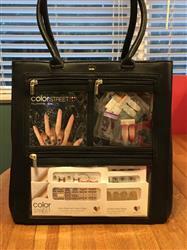 This bag has been a tremendous asset to my direct sales!" 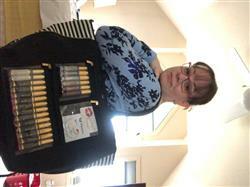 "I purchased the Kate bag to advertise my direct sales product. When it arrived, I was amazed by the quality of the bag (even my husband commented on how well it was made.). I have received numerous compliments (and made sales) because of the bag. I now carry it as my everyday bag instead of my Coach bags. " 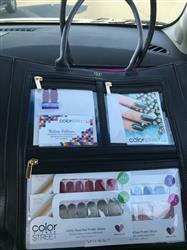 I love my Kate Presentation Tote! "I love my Piper Noble bag! Its a GREAT, sturdy beautifully designed presentation bag! " 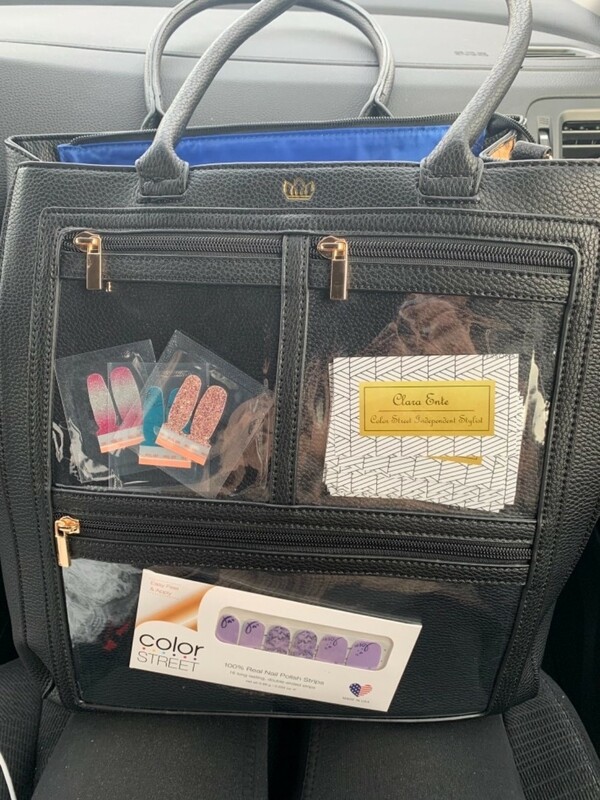 "This bag is big and works for everything "
"The Kate Presentation Tote is everything I expected it to be. Very good quality. I would definitely recommend this purse. 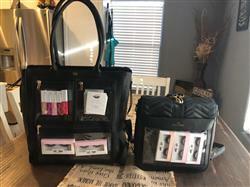 I would love to see a bigger packpack purse in the near future"
"I absolutely love my bag!!! I take it everywhere with me and recommend to everyone!!!" "I love it! So much room for all my SeneGence products "
"I love my Pippa Presentation tote! It's roomy with lots of pockets and very high quality!" "Love it! I got so many compliments when I first wore it. Beautiful color and really captivating. " "I love this bag. Gorgeous color. Ease of use. Perfect for any MLM that wants to display their product. May need to buy some more in different colors! " "I love this bag. There was a delay in receiving it but I sent an email regarding the delay and they were very responsive! Its very well made! Better than I expected!" 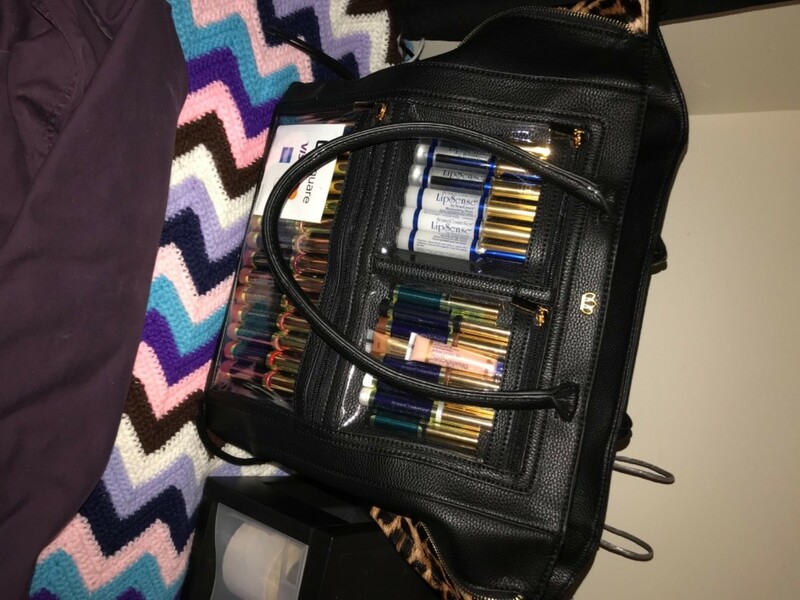 "Love my bag it’s so roomie can hold a lot of my supplies also my wallet and water. If someone asked if I would buy it again I would of course ♥️♥️♥️ It." "I am very satisfied with this bag. It is exactly what I was looking for. 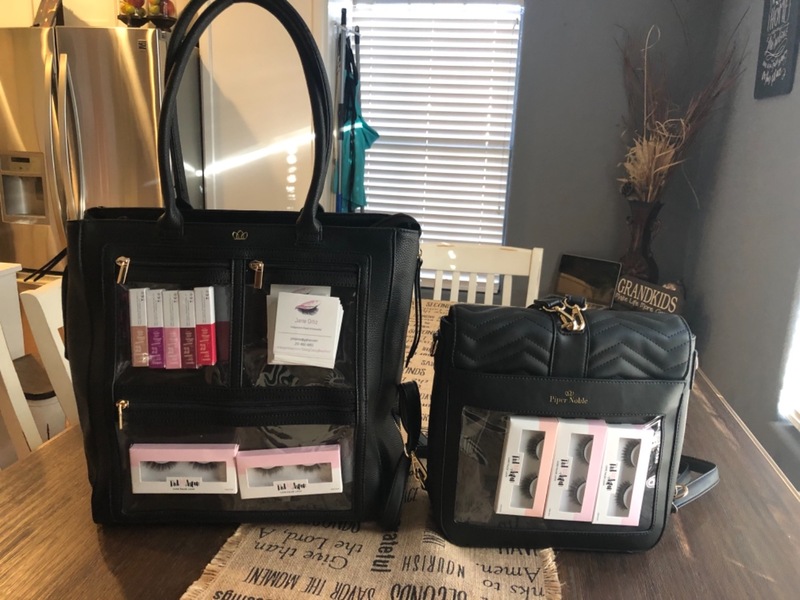 Not only am I going to use it for my business, but it is also doubles as my every day bag! Thanks ladies! Norma "
"Thank you! Such a Great bag! Everybody in Germany gets crazy when they see my bag." "So perfect for running some errands and showing off some product to spark interest!!!! Love the back pack feature to it!!! Fast shipping! " "I love my Piper Noble bag! 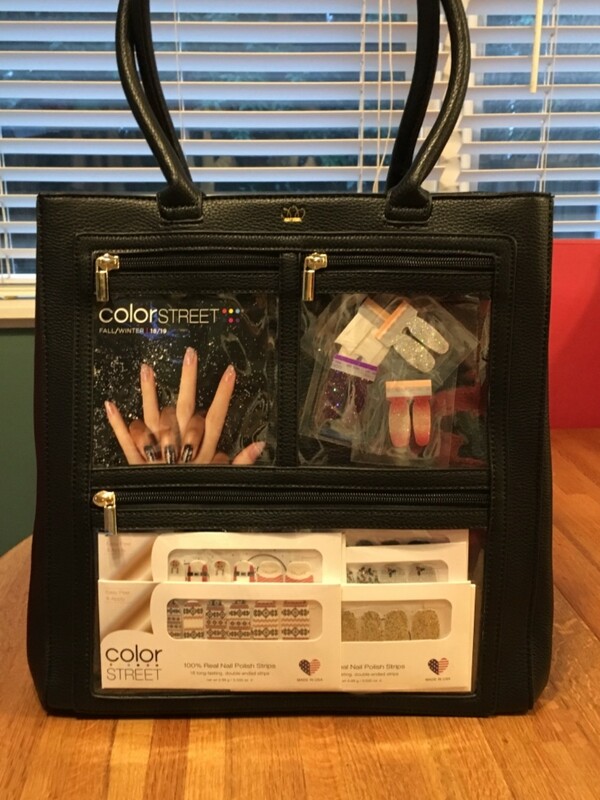 It’s a wonderful addition to my ColorStreet business... I bought one for one of my teammates too! And have been recommending it to my friends in direct sales as well :)"
"I love my Kate Presentation Tote. It's bigger then I thought it would be so I was pleasantly surprised. I've used it a few times and I've noticed people looking at it but no one has approached me yet. I have fit all my goodies in the bag so I'm ready for sales." "In. Love. This bag is so well made and hold everything I need! Could not be happier with this purchase!!" "I love the size! I can carry everything I need and plenty that I don’t. :) Being able to display the product as I go through the day is awesome!" "I love my new bag! All my clients ask about it as well. " "I love the quality of my Piper Noble bag! It's big enough to fit quite alot inside! I'll definitely be purchasing more in the future. Thank you!" "I absolutely LOVE it! Not only is is a functional tote that ticks all the boxes for me as a daily tote bag. It’s beautifully made. 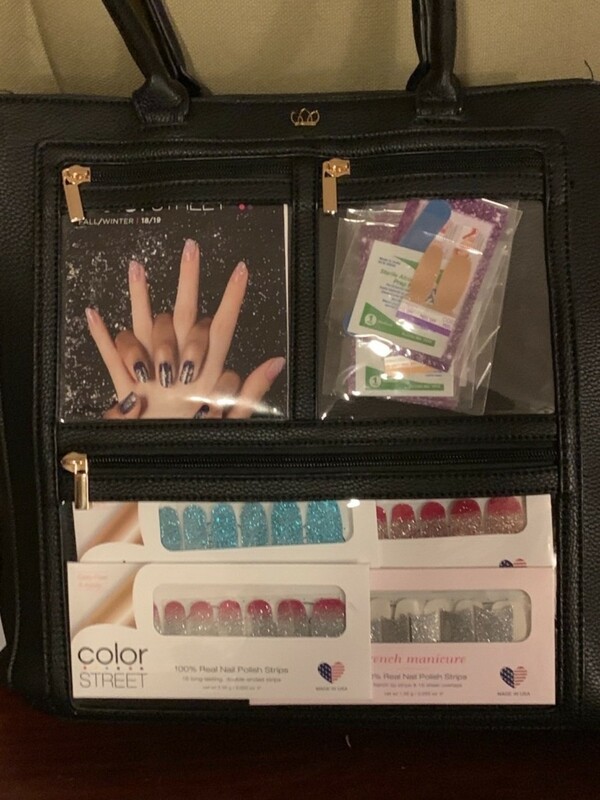 On top of that, it provides me a great way to subtly present my Color Street products which starts conversation, and has led to sales. 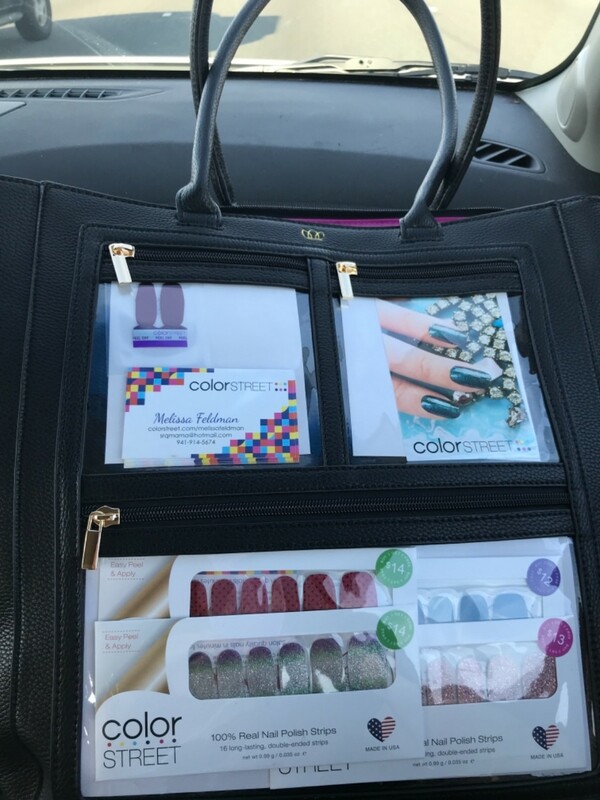 I highly recommend the Kate Presentation Tote!" "I just would like to say that I never write reviews but this company is fantastic! The products are of very good quality and on point. They are very quick to answer if you have any problems or concerns. Their first and utmost detail is to take care of the customer. Great customer service! Thank you!!" "I love my Piper Noble bag! I love the quality and it was much bigger than I anticipated. I love showing off my bag where ever I go!! " "Omg I love it! It’s very light weight and holds everything I need. I use it for work and everyday use. I would highly recommend it to everyone! "